All of WaterfallNow’s rocks are 100% custom hand-made. That means if you are looking for ways to perhaps cover up electric outlets, man-holes, tools, or any other unsightly objects we can custom-create an artificial rock feature that will cover that object for you. Our fake rocks and rock panels are great for landscaping projects and can be mixed in with other natural applications. From far away most people cannot tell a real rock from one that we hand-made. Many people opt for natural stone for their landscaping needs but natural stone can only go so far. For the person who wants something much larger and customized WaterfallNow can create it. Want a waterfall in your backyard? We do that. Our rock water features don’t require constant maintenance and repairs. If you’ve ever paid for something thinking you got a good deal and later spent thousands more on upkeep you will be glad for this fact. 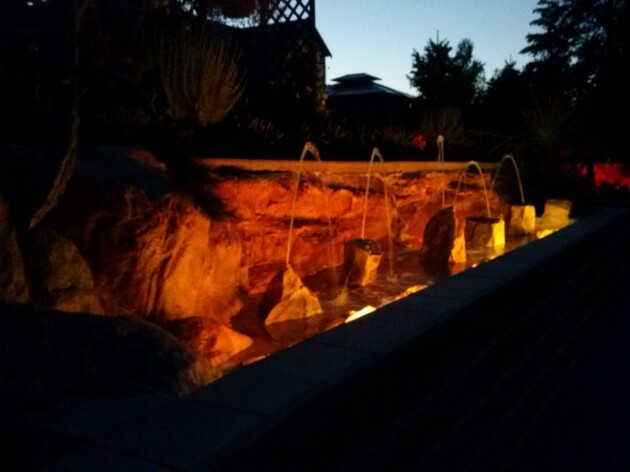 As long as the water level is maintained for each water feature our rock waterfalls, rock fountains, and rock water features will run smoothly. 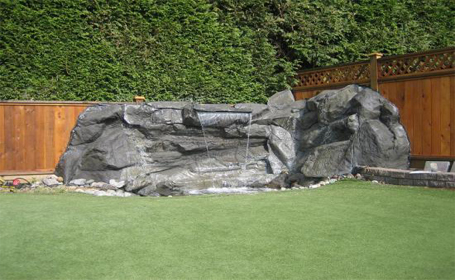 Backyard Waterfall – Perhaps you want to transform your yard? We can also create these features to draw water from a running stream or from a hidden pond. Literally anything you can imagine can eventually be done. 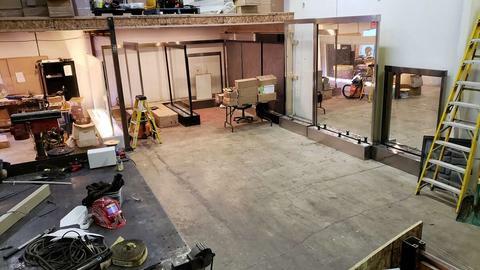 We take pride in our problem-solving abilities and helping make renovation ideas become a reality. 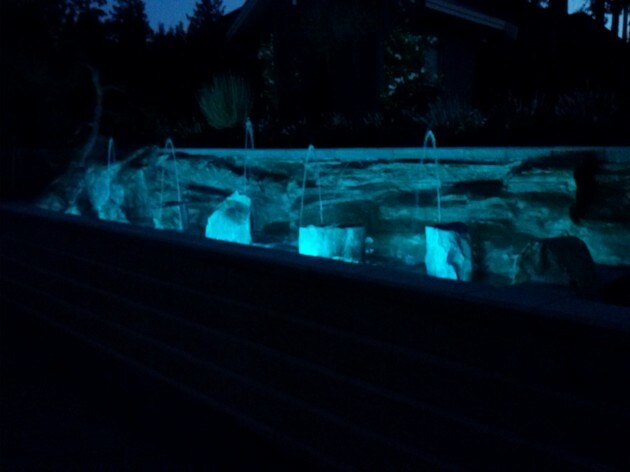 WaterfallNow hand-creates custom decorative rocks Vancouver, Surrey, the Lower Mainland and other areas of BC. Can’t find what you are looking for online? We may have the solution. Looking for the absolute best in custom decorative rock covers? Contact us.